The Word says His people perish – for a number of reasons – and we are also exhorted to check we are still in Christ. With churches now fully embracing dangerous spiritual practices, this DVD contains 5 sessions with film clips and research which should jolt any Christian out of their complacency. 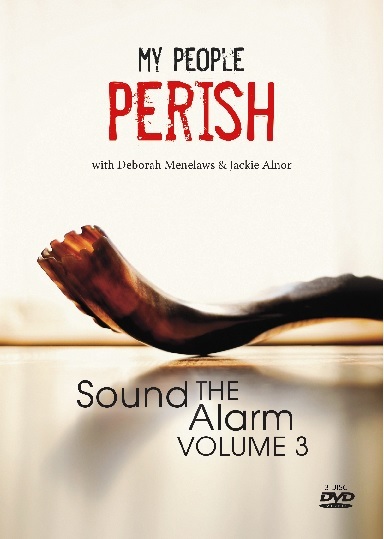 With additional information about Globalisation and the New World Order included, we hope you find this final part of the Sound the Alarm trilogy worth the wait! See our Sound Teaching shop for details and order now!